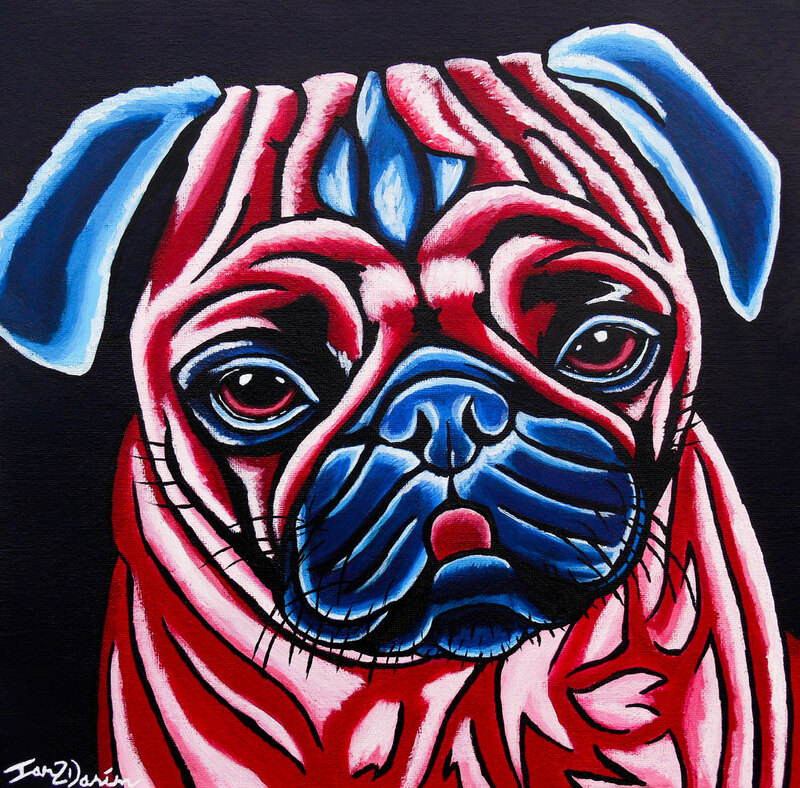 A pop art painting of a pug done in two main colours consisting of blues and reds. This style of painting is from a new service that I now provide called quirky pets. Choose 2-3 colours, then I blend some white for highlights and finally finishing it off with black for the outlines. These will take less time to create than my normal paintings as they aren’t as detailed but focus on the key parts that make up the pet.